Navigating the open highway can be a challenge for drivers. However, it can be especially difficult for senior citizens. As you age, your body can go through various changes and keeping up with these can be important to your safety on the roadway. Keeping track of any changes in your health will help your physician to be able to detect any issues or concerns. Eyesight, hearing, heart disease, stroke and diabetes are problems that can keep you from driving safely. Your vision is especially important when traveling quickly on the interstate and an eye exam can detect glaucoma and other vision related problems. Changing lanes and blind spots can be other areas where you need the proper eye glass prescription. You should also get your hearing checked to ensure that you can hear ambulances, law enforcement vehicles and other drivers warning you of dangerous situations that may lie ahead. Stay aware of your blood pressure while touring higher elevations like the Blue Ridge Parkway in North Carolina, for instance, to protect your alertness whether ascending or descending a steep climb. No matter how careful you are, accidents unfortunately may happen. It may be hard to figure out who caused the crash especially in multiple car incidences so it’s always wise to contact an attorney, such as one found at a Charlotte car accident law firm to help determine fault and to understand all your legal rights. As a senior, you may be taking several medications for heart disease, diabetes, high blood pressure and other health related issues. You need to verify with your physician that the medication you’re taking will not affect your driving capabilities. To ensure the safety of yourself, other passengers in your vehicle, and the other drivers on the road, you also need to be responsible for taking your medication at the appropriate times. When you’re motoring at excessive speeds on the interstate, you’ll need your wits about you. To ensure that you’re mentally capable of handing the highway, you’ll want to be assessed for medical conditions that can affect your memory and mind such as dementia and Alzheimer’s. A person who is mentally capable of handling driving conditions on the expressway can also get to and from their destination safely by remembering where they are going and what exits and entrances to take. Drivers have a greater number of distractions than in previous years with cellphones, radios and GPS devices. Since you’ll be traveling at high rates of speed, you’ll want to do your part by keeping your eyes focused on the road and leaving your technological devices tucked safely away until you’ve reached your destination. If you need to use your phone, pull off to the median or you can choose a safer location such as a parking lot. If higher speed limits on the interstate make you nervous, you need to find an alternative method of traveling. You can find other routes that are safer, less traveled and at a reduced rate of speed. 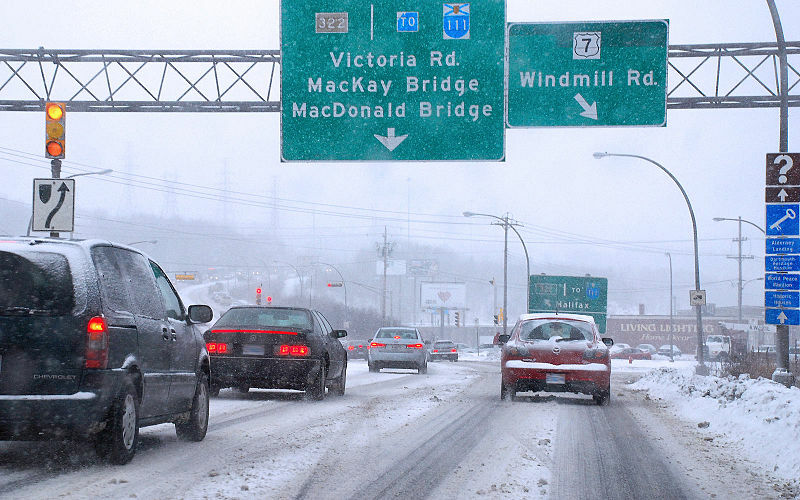 You can also decide to avoid driving in dangerous weather situations such as snow, ice, rain and thunderstorms. Rules and guidelines change, and you need to familiarize yourself with the current regulations of the road. As an elderly driver, you should also make sure that you take the driver’s exams when you’re required to be tested. This will determine if you’re capable of driving a vehicle. You should also keep your car in excellent working condition with regular maintenance checkups. It’s normal for your driving abilities to change as you grow older. Reflexes slow down and senses aren’t as sharp. You can ensure your safety, and the wellness of others, by incorporating safe driving practices and lessening risk factors associated with driving on the interstate. As mentioned often it’s difficult to determine who has caused an accident which can make completing insurance claims confusing. To get help, search for an attorney online by browsing terms such as Charlotte car accident law firm. Consulting with a legal professional about your rights will increase your chances of gaining a full settlement. Teresa Stewart is an ex-corporate grunt turned entrepreneur, website publisher, free-lance writer and author whose travel throughout the US and overseas created a multi-passionate personality. Fueled by experience and curiosity, she enjoys researching and writing in a variety of arenas.